Superstar Nigerian singer Davido is still reaping from his success of 2017 as two of his hot singles, “IF” and “FALL” have attained Diamond and Platinum certification in sales. 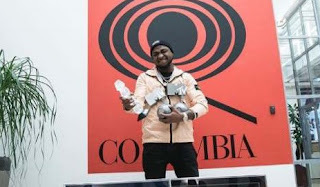 Davido who could not hide his excitement took to Instagram to share the good news with photos of his certification plaques. The diamond certification for Davido’s “IF” means the song has officially reached 10 million units in sales while Platinum certification for “FALL” means the song has officially gathered sales of 1 million or more copies.